FREE Developmental Screening for children 18 months and older! 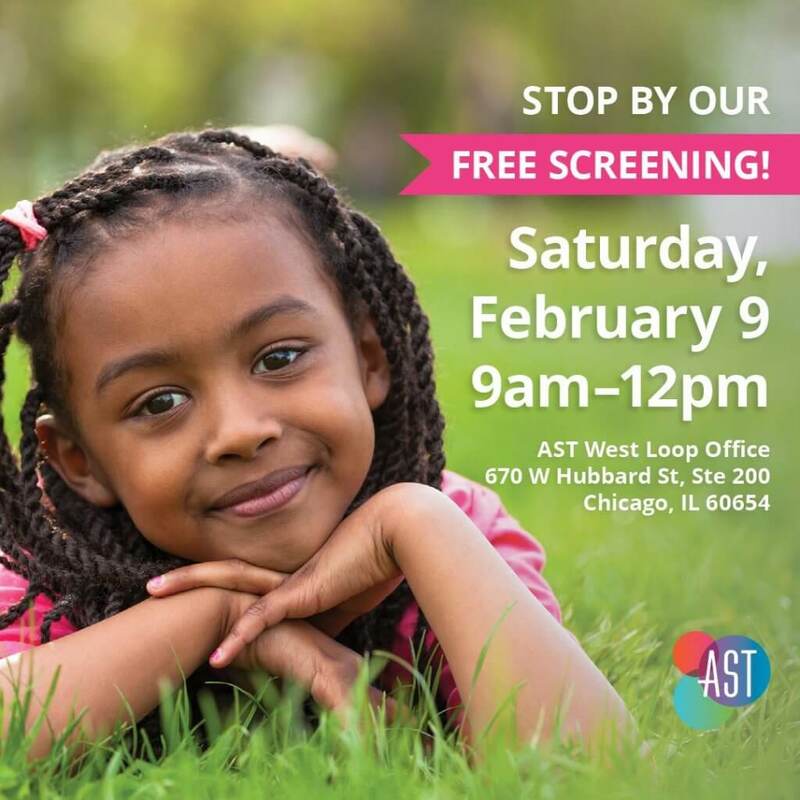 AST believes that early intervention is the key to a child’s development and is offering a free onsite developmental screening for ages 18 months and over. Screening allows for earlier detection and intervention of delays which result in improved skill acquisition and school readiness. Click “going” on Facebook here. *This screening will not result in any diagnosis, but will help to determine whether an evaluation is necessary to determine a formal diagnosis.